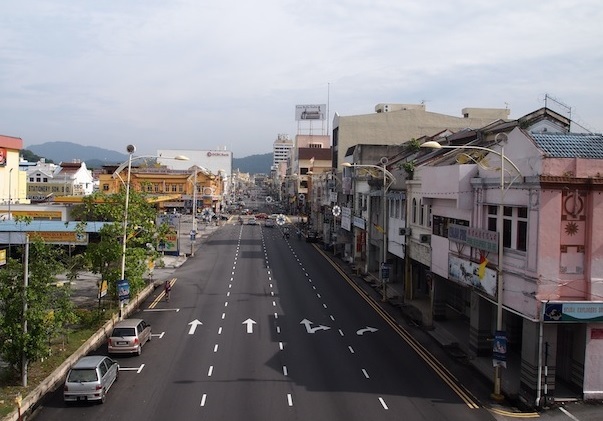 Seremban is the capital city of Negeri Sembilan, although the royal capital Seri Menanti is. The capital city is situated about 60 kilometres south from Kuala Lumpur. Seremban was founded as Sungei Ujong (or Sungai Ujong), named after a nearby river of the same name. While the town was renamed Seremban thereafter, the Sungai Ujong name most prominently persists as a street name for a road adjoining the southern side of town. The city came into existence with the discovery of tin ore in the 1870s like most major towns in Peninsular Malaysia. The discovery of tin in a nearby area called Rasah, saw an influx of Arab, Malay and Chinese immigrants to work on the mines and trade there. Most of the local Malays were farmers. The town flourished not only as a mining area but also a business centre. The Linggi River served as the sole outlet to ferry tin and supplies in and out of the town. Seremban is situated in the Linggi River valley, at the foothills of the Titiwangsa Range. The terrain is generally hilly, and the soil is mostly reddish laterite soil, suitable for the cultivation of rubber and palm oil, thus making Seremban the agricultural centre for the state. Since the establishment of Seremban, the Linggi River has played an important role in the development of the town. During the boom period of tin mining, the Linggi River was the major transportation route for tin traders. Today, it is one of the major sources of water for Seremban and Negeri Sembilan. 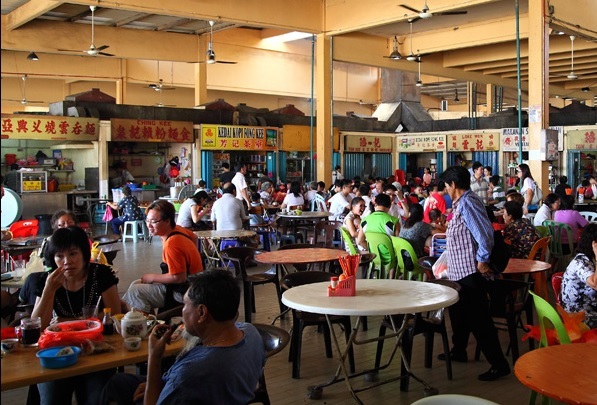 The rail connection was first constructed in the late 1890s as a stop on the Kuala Lumpur � Singapore main line, and until today, the Seremban railway station still serves as one of the major stops along the line. The station also serves as the southern terminal of the KTM electrified commuter network, KTM Komuter, which links the town to Kuala Lumpur and the Klang Valley on Seremban Line. 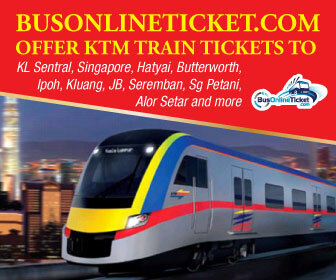 Since October 2015, the Komuter service has been extended to Gemas, though passengers are required to alight at Seremban and switch trains to the Gemas extension line. Negeri Sembilan is influenced by the Minangkabau's and thus, Seremban is the centre of the Minangkabau culture in Malaysia. Minangkabau, derived from the Malay word menang kerbau, which means "winning buffalo", are famous for their unique roof architecture which resembles buffalo horns. Many buildings in Seremban adapted this feature, such as the Seremban Municipal Council Hall, the Wisma Negeri and the State Museum. People of Negeri Sembilan are also known for the practice of an ancient Malay tradition called Adat Perpatih, where women are given a higher social status than men. 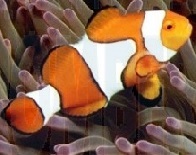 The nickname of Seremban Square is "the "Fish pond". It's an area of open land in the Seremban town area, which has recently been given a new look. Seremban Square which decorates the main entrance to the Seremban town began to attract attention and has since turned into a popular tourist hot spot. The comfortable open ground, the calming water fountain, the beautiful decorative lights, makes it suitable as a transit to rest in between visiting Seremban. In the Seremban Square area there are also Malaysian flagpoles that reach up to a length of a 100 feet. The Jelita Ostrich Show Farm in Jalan Jelebu is not only focussing on breeding activities in particular, but it also capitalises on all speciality of the bird species. It's renowned as a family recreational centre. The Negeri Sembilan Museum was established in 1953 when the 8th Yamtuan or Ruler of Negeri Sembilan, Tuanku Abdul Rahman gave his consent for the relocation of the Ampang Tinggi Palace from Kuala Pilah to the Taman Bunga at Jalan Dato' Hamzah, Seremban and was turned into the State Museum. 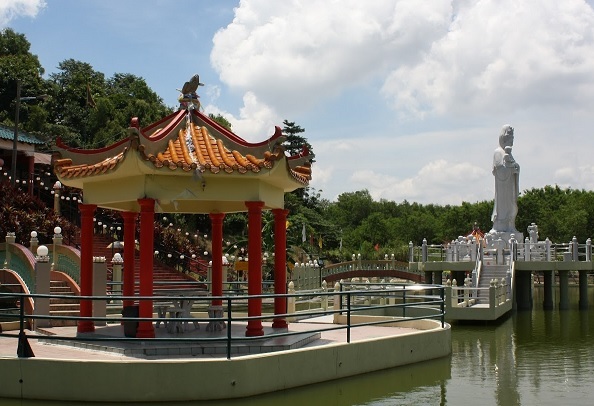 Seremban Lake Garden is the most popular recreational and leisure centre in Seremban which has attracted the attention of many visitors especially during public holidays and weekends. This Lake Garden is one of the oldest natural lake gardens in Malaysia. The Then Sze Temple or the Centipede Temple is perched on top of a hill in Ulu Temiang. Centipedes roamed freely in and out of the temple grounds and it is believed that if you spot a centipede you can expect some good fortune. The Cheng Koo Temple is 150 years old. A 9.1m high statue of the goddess Guan Yin, it is the tallest of its kind in the country. It is dedicated to childless couples seeking her blessing. The 20 tonnes statue was carved out of stone and brought in from Fujian province in China.